I bought my first kettlebell in 2008. It was a very hot Italian summer and the gyms whre closing up for holidays. I binge watched Youtube trying to discover as many new exercises as I could. After many tries and injuries (that’s what happens when you don’t have guidance) I decided to get certified. 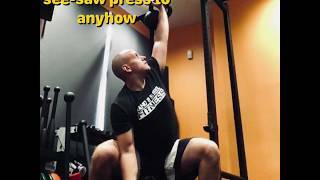 Only then I started seeing the benefits of kettlebell training on myself and kept on studying to have other clients get the results they wanted. My favorite tool has always been the kettlebell, so I was excited to learn there was a sport based exclusively on this tool. I won many competitions. 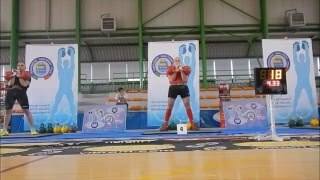 Of my students, at least 10 took medals home themselves, many of them new to Kettlebell Sport. Being born in Italy in the 80s, after watching Karate Kid I asked my parents to enroll me in the local dojo. Growing up I moved on to boxing, then MMA. During this time I hung out at the gym on and off with no particular plan, until one instructor had me trying the sport of Powerlifting. When I had enough strength to put a decent amount of plates on the barbell, I decided to move to a more specialized training facility, the historic Borgo Prati gym in Rome, an army’s training center. The coach noticed right away that my strength could be put to a better use in the sport of Olympic weightlifting, and so I switched to the most advanced of the strength sports. In the meanwhile I kept on practicing martial arts, and on a hot Italian august, with the gyms closed, I discovered functional training. It was 2008, and it was still pretty much an unknown discipline. Being both an athlete and a coach, I believe in concrete goals and working smart and hard. 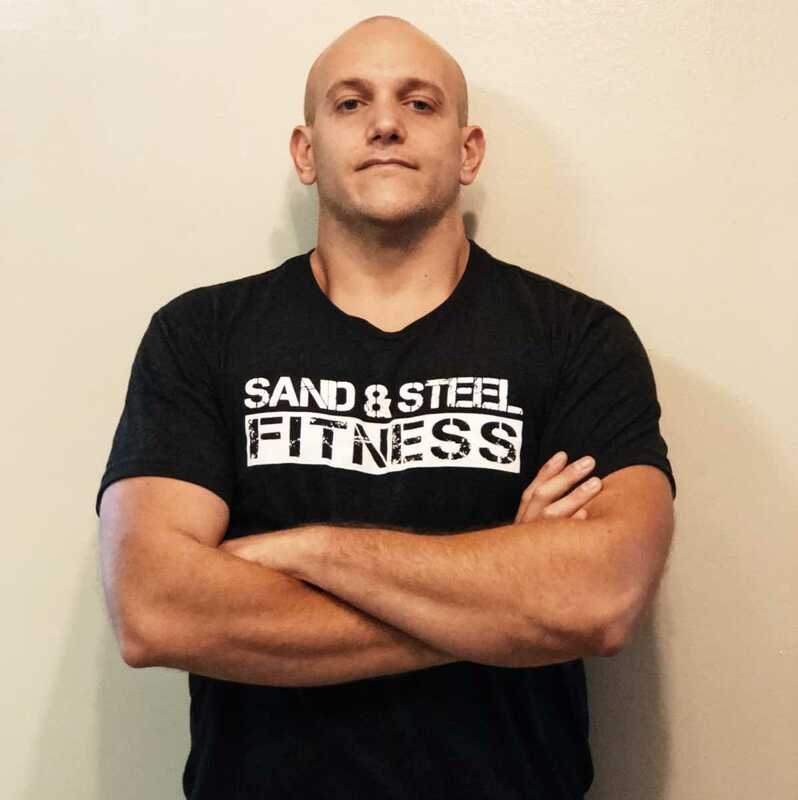 Sand and Steel Fitness is the kind of gym where I found the same principles and an environment of highly skilled coaches where I will keep enriching my knowledge. First you do what is necessary, than what is possible, then what was impossible. 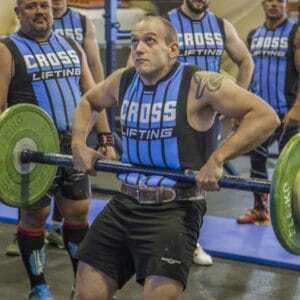 Flavio has a background in strength sports, martial arts and functional training. 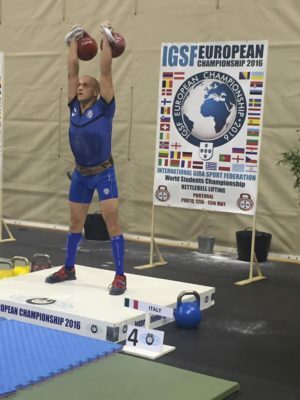 He is a Kettlebell Sport coach and athlete. 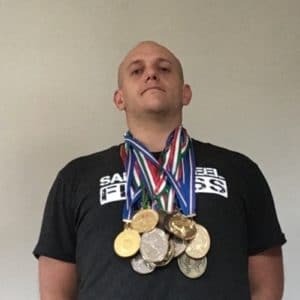 In the last decade as a coach he worked both with athletes and general fitness enthusiast. From professional MMA fighters to complete amateurs, he helped many clients reaching their goals.